“The United States Charge d’Affairs in Khartoum was summoned this afternoon and met the Deputy Foreign Minister who once again expressed Sudan’s disappointment at the order banning Sudanese citizens and those of other countries from traveling to the United States,” the foreign ministry said in a statement. PESHAWAR, Pakistan: Pakistan has indefinitely closed two border crossings with Afghanistan after opening them for two days to let through Afghans with visas, officials said on Thursday. 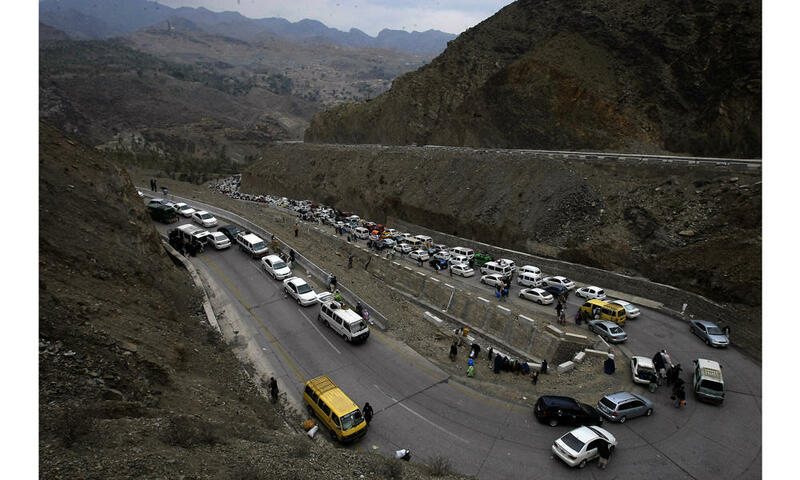 The official border crossings were abruptly ordered closed last month after a series of attacks Pakistan blames on militants sheltered in Afghanistan, heightening tension between the neighbors. But Pakistan temporarily reopened the crossings on Tuesday and Wednesday this week, to allow the return home of stranded citizens of both countries holding valid travel documents. 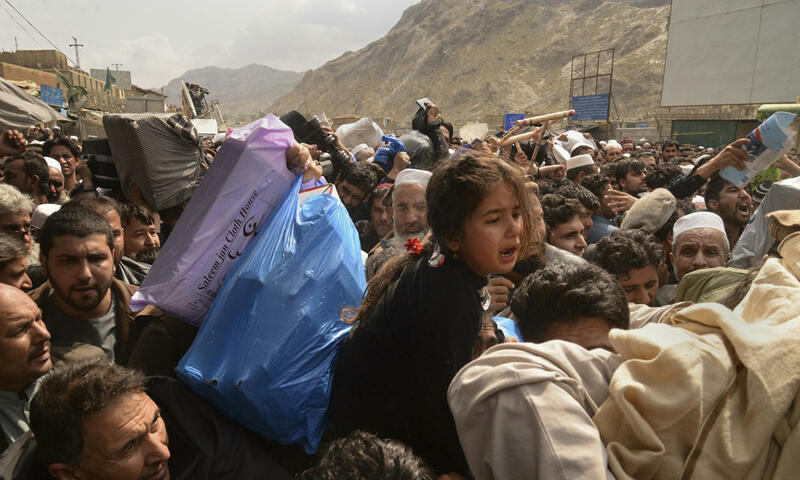 Two men, a woman and a child were trampled to death in the resulting surge of more than 20,000 Afghans passing through the crossings, said Attahullah Khogyani, the government spokesman for Afghanistan’s border province of Nangarhar. 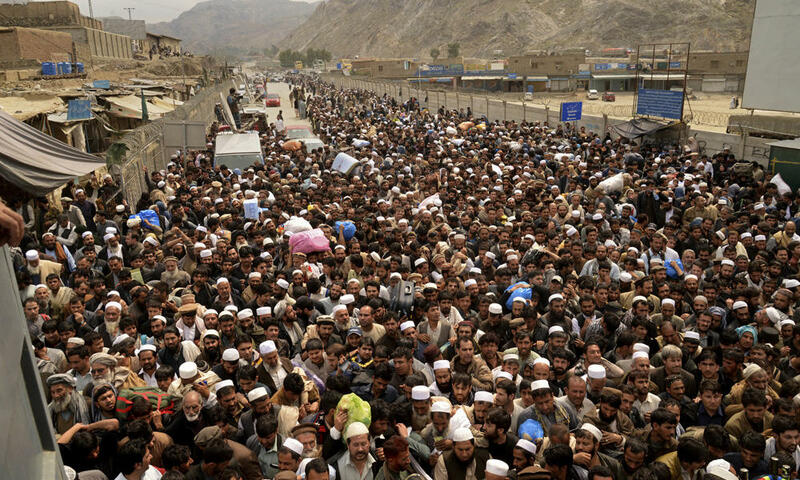 Pakistani official Niaz Mohammad, based in the border town of Torkham, said 24,000 Afghans had returned to Afghanistan on foot, while 700 Pakistanis returned home, before the border was closed again at 9:30 p.m. on Wednesday. “There is no clarity on when the border will be reopened,” Mohammad said. The closure chokes off a key trading route for landlocked Afghanistan, although it has been working to build trade ties with other neighbors, such as Iran. It also cuts off Pakistani traders from a steady market. On Thursday, about 200 traders and transporters held a protest at Torkham, complaining that cargo on 800 stranded trucks was rotting, particularly meat and fruit. “People have suffered billions of rupees of losses in the past three or four weeks,” said one protester, Ali Jan, a transporter. A Pakistani government official, who asked not to be named, said the border would stay closed until Afghanistan took action against a list of 76 “most-wanted terrorists” whose capture and handover by Kabul the Pakistani military demanded last month. Relations between the two countries are tense, with each routinely accusing the other of doing too little to stop Taliban fighters and other militants from operating in its territory. Pakistan has blamed several attacks last month, in which more than 130 people were killed, on Pakistani militants taking shelter in Afghanistan. Afghanistan denies the charges. Last year, Pakistan started building a barrier at Torkham, angering Afghanistan, which rejects a colonial-era boundary line dating from 1893. KABUL, Afghanistan: Gunmen wearing white lab coats stormed a military hospital in Afghanistan’s capital on Wednesday, killing at least 30 people and wounding dozens in an attack claimed by the Daesh group. The attack on the 400-bed military facility, located near two civilian hospitals in Kabul’s heavily-guarded diplomatic quarter, set off clashes with security forces that lasted several hours. The brazen assault reflected the capability of militant groups in Afghanistan to stage large-scale and complex attacks in the heart of Kabul, underscoring the challenges the government continues to face to improve security for ordinary Afghans. Gen. Dawlat Waziri, a Defense Ministry spokesman, said there were “more than 30 killed and more than 50 wounded” in the attack. Afghan forces battled the attackers floor by floor, he added. The ministry said the attackers were dressed like health workers. According to Waziri, four gunmen were involved, including two suicide bombers who detonated their explosives vests once the group was inside the hospital. The two other attackers were shot dead by security forces, the spokesman said. A member of the security forces was killed in the shootout and three other security officers were wounded. Along with the suicide vests, the attackers also had AK-47 rifles and hand grenades, Waziri said. 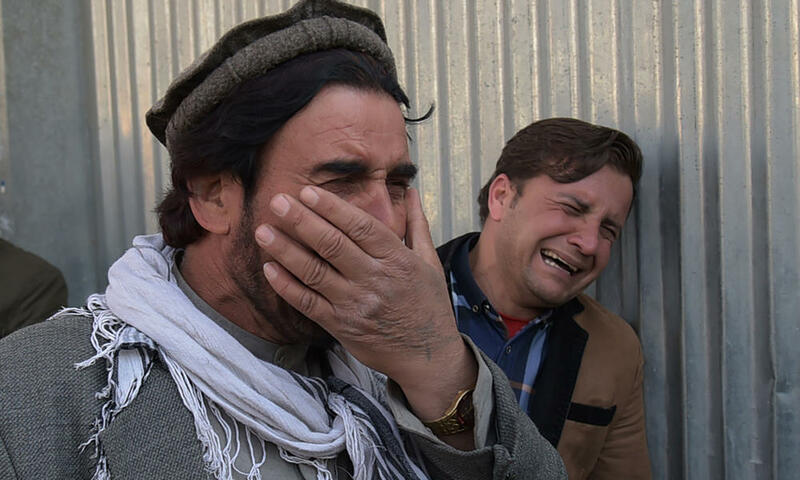 Obaidullah Barekzai, a lawmaker from southern Uruzgan province, said Wednesday’s attack by the Daesh group and other similar assaults, especially in the capital, are very concerning. “This is not the first attack by the Islamic States group, they have carried out several bloody attacks in Kabul,” he said. The assault lasted for several hours, with Afghan helicopters circling over the hospital building, troops rappelling onto rooftops and security forces going floor-by-floor in a gunbattle with the attackers. By mid-afternoon, the attack was over and a clean-up operation was underway. Abdul Qadir, a hospital worker who witnessed the attack, said an attacker in a white coat shot at him and his colleagues. Ghulam Azrat, another survivor, said he escaped through a fourth floor window after attackers killed two of his friends. IS claimed the attack in a statement carried by its Aamaq news agency. An affiliate of the extremist group has carried out a number of attacks in Afghanistan in the last two years, and has clashed with the more powerful and well-established Taliban, who carried out another complex attack in Kabul last week. Mohammad Nahim, a restaurant worker in Kabul, said he worries that Daesh militants are getting stronger. “Daesh has no mercy on the humanity,” he added, using an Arabic name for the group. Afghan security forces have struggled to combat both groups since the US and NATO formally concluded their combat mission at the end of 2014, switching to an advisory and counterterrorism role. The foreign ministry in neighboring Pakistan condemned the Kabul attack, describing it as a “heinous terrorist attack” and expressing Islamabad’s condolences to the victims. 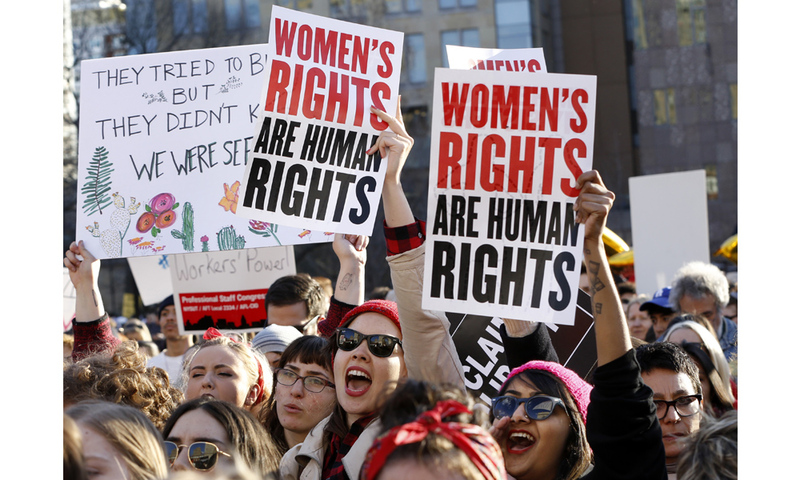 PHILADELPHIA: American women stayed home from work, zipped up their wallets, wore red and joined rallies across the country to demonstrate their economic clout Wednesday as part of International Women’s Day events around the globe. 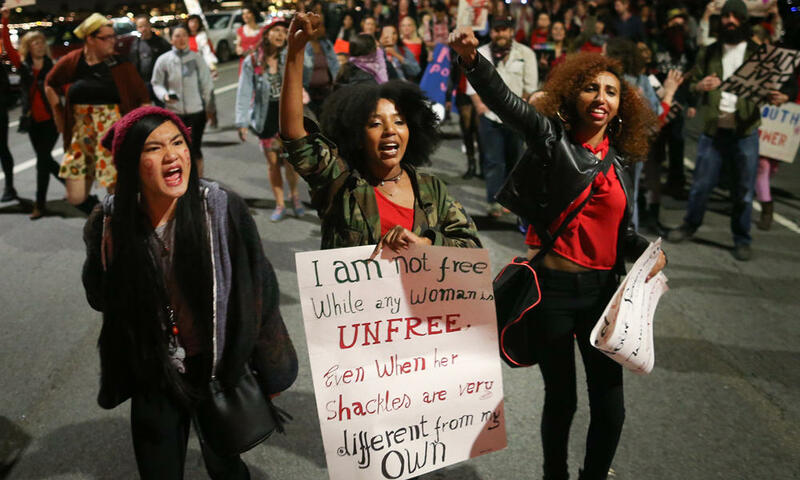 The Day Without a Woman protest in the US was put together by organizers of the vast women’s marches that were held coast-to-coast the day after President Donald Trump’s inauguration. School districts including those in Prince George’s County, Maryland; Alexandria, Virginia; and Chapel Hill, North Carolina, canceled classes because so many teachers and other employees were expected to be out. In Providence, Rhode Island, the municipal court closed for lack of staff members. Rallies were planned in New York, Philadelphia, Baltimore, Milwaukee, Washington and Berkeley, California. Some businesses and institutions said they would either close or give female employees the day off. The US event coincided with the UN-designated International Women’s Day. Germany’s Lufthansa airline had six all-female crews flying from several cities in the country to Berlin. Sweden’s women’s football team replaced the names on the backs of their jerseys with tweets from Swedish women. Finland announced a new $160,000 International Gender Equality Prize. 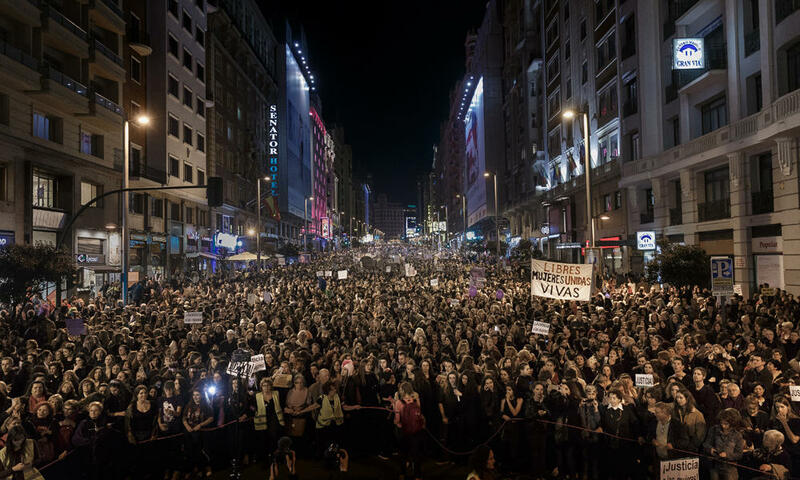 Women also held rallies in Tokyo and Madrid. 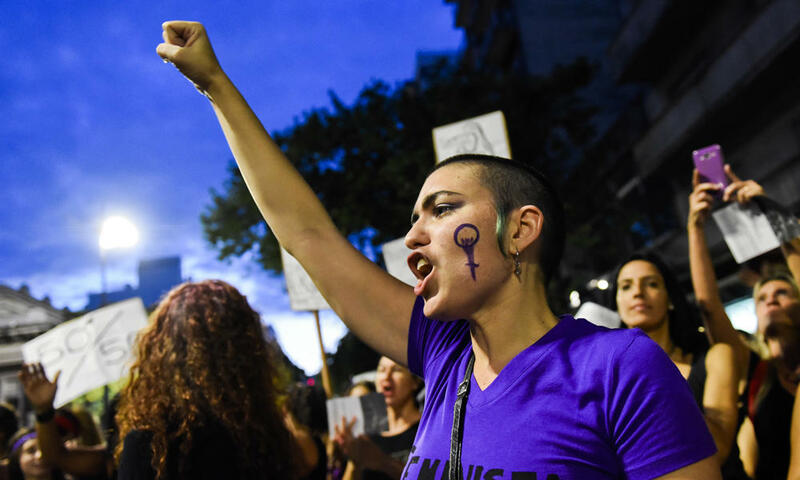 In the US, spokeswoman Cassady Findlay said organizers of A Day Without a Woman were inspired by the Day Without an Immigrant protest held last month. She said the action was aimed at highlighting the importance of women to the country’s socio-economic system and demonstrating how the paid and unpaid work of women keeps households, communities and economies running. “We provide all this value and keep the system going and receive unequal benefits from it,” Findlay said. Women were urged to take part in local rallies and refrain from shopping in stores or online. Some criticized the strike, warning that many women cannot afford to miss work or find child care. Organizers asked those unable to skip work to wear red in solidarity. Lovely Monkey Tattoo, a female-owned tattoo parlor in Whitmore Lake, Michigan, offered female-centric tattoos with messages like “Nevertheless, She Persisted” — a reference to the recent silencing of Sen. Elizabeth Warren on the Senate floor — for $50 to $100, with proceeds going to Planned Parenthood. According to the US Census, women make up more than 47 percent of the workforce and are dominant among registered nurses, dental assistants, cashiers, accountants and pharmacists. They make up at least a third of physicians and surgeons, and the same with lawyers and judges. Women also represent 55 percent of all college students. At the same time, American women earn 80 cents for every dollar a man makes. The median income for women was $40,742 in 2015, compared with $51,212 for men, according to census data. 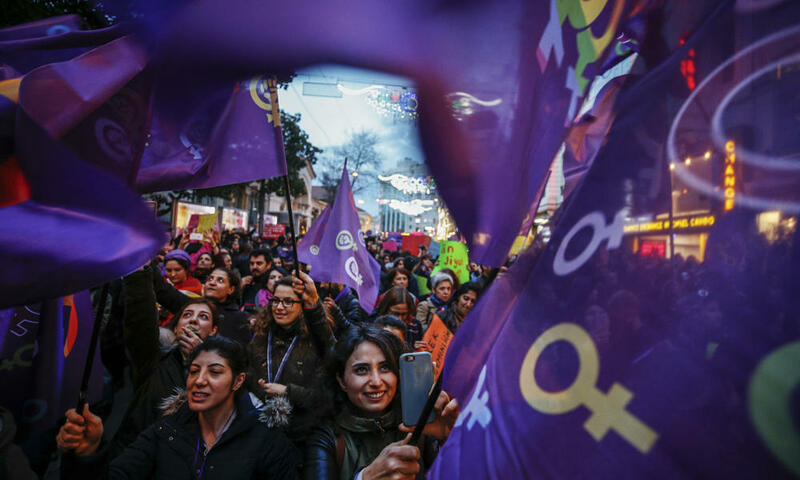 Associated Press writers Phuong Le in Seattle, Mike Householder in Ann Arbor, Michigan, and Michelle Smith in Providence, Rhode Island, contributed to this report. WASHINGTON: Moscow has deployed a land-based cruise missile system that contravenes a 1987 US-Russia arms control treaty and poses a risk to the West, a top US general said Wednesday. 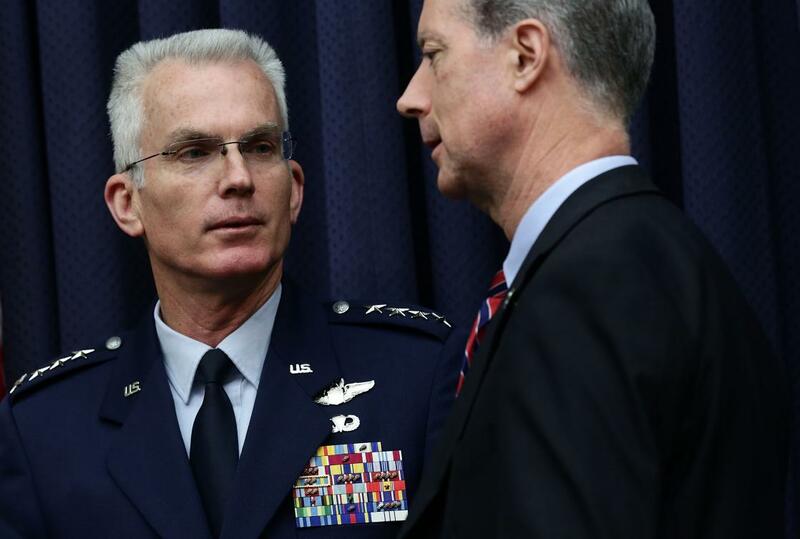 General Paul Selva, the vice chairman of the Joint Chiefs of Staff, told lawmakers that the missile system’s deployment “violates the spirit and intent” of the Intermediate Nuclear Forces Treaty (INF). “The system itself presents a risk to most of our facilities in Europe,” Selva told the House Armed Services Committee hearing. The treaty was negotiated during the Cold War by president Ronald Reagan and Soviet leader Mikhail Gorbachev, banning intermediate-range missiles from US and Russian arsenals. It led to the destruction of about 2,700 missiles. The New York Times last month first reported the deployment. Russia says it has not violated the treaty — and has accused Washington of doing so. Moscow says the missile defense system the United States deployed in Poland and Romania could be used if necessary to launch missiles toward Russia. The 1987 INF treaty put an end to a mini-arms race triggered by the Soviet Union’s deployment of SS-20 nuclear missiles targeting Western European capitals. The Pentagon wants to replace or modernize all three legs of its “triad,” a three-pronged nuclear attack force comprising intercontinental ballistic missiles (ICBMs), submarines and bombers. Experts estimate the cost will hit $1 trillion over the next 30 years. “These systems will not remain viable forever,” Selva said. WASHINGTON: President Donald Trump appeared on Tuesday to reinforce his campaign support for the continued use of the Guantanamo Bay detention center, using an early morning tweet to discuss the facility, which his predecessor had vowed to close. The tweet decrying the release of Guantanamo detainees who returned to the battlefield was the first time Trump mentioned the detention center since he took office. And it came with little insight into any new administration policy on how the center will be used. While the tweet pins the blame on the wrong president — the bulk of detainees who returned to the fight were released under then-President George W. Bush — it also suggests that Trump has not given up on the idea that Guantanamo should remain an active facility. There has been no recent discussion of the draft executive order that surfaced shortly after Trump took office. 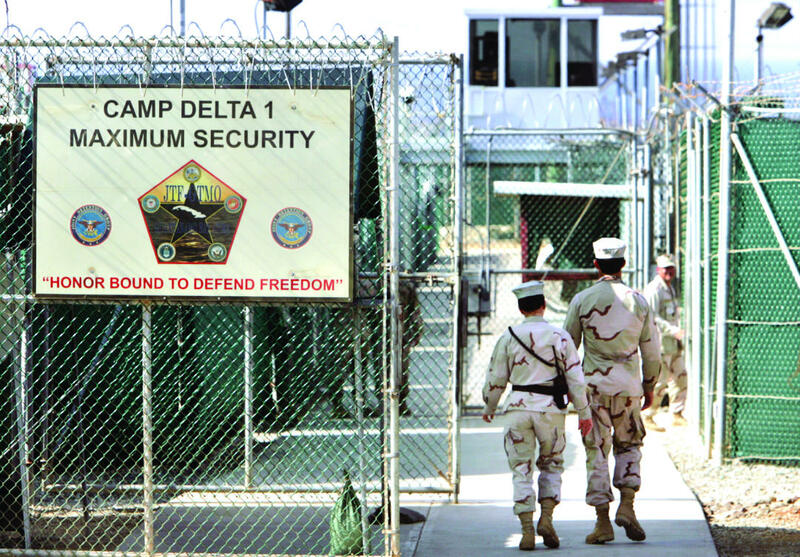 The draft, which was obtained by The Associated Press, endorsed the continued use of Guantanamo to hold enemy combatants including those from Al-Qaeda, the Taliban and the Daesh group. It has been a consistent message from Trump. During the campaign, Trump said he not only wanted to keep the detention center open, but “load it up with some bad dudes.” He returned to that thought in an early January tweet, calling for an end to detainee releases, insisting that dangerous people should not be allowed back on the battlefield. Asked on Tuesday about the status of the executive order, the White House declined to comment or say if one is in the works. When the draft leaked out in January, the White House said it was not official. Commanders at Guantanamo have made clear that if needed they have the space and ability to take on more detainees. At its height in 2003 the facility held about 680 prisoners. “I’m confident that I will get a little more notice than ‘there is a plane in the air that’s going to land in four hours’ or whatever the case may be. The few days, if that’s all I have, will be adequate for me to receive a small number of detainees,” Rear Adm. Peter J. Clarke, the commander at the detention center, told reporters. There is immediate room available for 150 prisoners in Camp 6, as well as about 80 cells in the adjacent Camp 5, where the military is building a new detainee medical clinic. There is also unused space encircled by razor wire and empty guard towers in nearby Camp Delta. The US, however, has not been capturing a large number of prisoners as it did in the early days of the wars in Afghanistan and Iraq, so it is not clear where the Trump administration would find many new people to put in Guantanamo. Former President Barack Obama had promised to shut down the facility and had pressed the Defense Department to get more of the detainees transferred out to other nations. There were 201 transfers during his eight years in office, and the 41 detainees who now remain include 10 who are facing criminal charges and five who are currently eligible for transfer. The Obama White House and human rights groups argued that Guantanamo was a waste of money and a “recruiting tool” for terrorists. Obama called for a plan to close the facility and transfer the remaining detainees to a prison in the US. The plan, which considered more than a dozen locations in the US and laid out potential construction costs of up to $475 million, hit a wall of opposition from Congress, which passed a law prohibiting the transfer of Guantanamo detainees to America. Decried as Muslim ban, will the revised decree pass legal muster? WASHINGTON: US attorneys general, civil liberties groups and others are already lining up to challenge President Donald Trump’s revised ban on refugees and travelers from six mainly Muslim countries. But can they succeed in overturning a measure that was deliberately crafted to remove the red flags raised by US courts over the first attempt? That may be more difficult. The White House has rolled out a process that aims to avoid a repeat of the confusion caused by its first travel ban, imposed with no notice and little preparation one week into Trump’s presidency. This time, it is unlikely there will be a backdrop of airport chaos and mass detentions to help lawyers make the case that people’s rights are being trampled. The new order issued on Monday suspends US entry for all refugees for 120 days, and suspends the issuing of new visas for nationals of Syria, Iran, Libya, Somalia, Yemen and Sudan for 90 days. Although similar to the first travel ban, it has been changed in significant ways to pass muster with the courts. For one, the new restrictions do not go into effect until March 16, giving travelers 10 days to prepare for the changes. Crucially, the new order exempts permanent US residents and existing visa-holders and allows for waivers on a case-by-case basis. It also drops Iraq from the list. The strategy appears designed to address the situations that ignited outrage and made the earlier travel ban politically radioactive. Among the prominent cases was that of an Iranian baby who could not travel for specialized medical treatment in the US. That could now be dealt with using a waiver. Foreign students and Silicon Valley executives were also stranded abroad, and entire families detained at airports. As long as they have visas under the new rules, they should no longer face that risk. Lawyers for the state of Hawaii on Tuesday told a US district court there of their plan to file a challenge to the revised ban on Wednesday, which would probably make it the first legal test. The state has asked for an expedited process to consider a motion for a temporary restraining order on the ban. If the judge agrees, “this schedule will allow the court to hear the state’s motion before the new travel ban goes into effect on March 16,” Hawaii’s Attorney General Douglas Chin said in a statement. The federal judge who blocked the first ban in the state of Washington last month was persuaded by the argument of two state attorneys general that it was causing “irreparable harm.” It is less clear those arguments would prevail the next time around. “We are carefully reviewing the new executive order to determine its impacts on Washington state and our next legal steps,” Washington state Attorney General Bob Ferguson said Monday. He said he was still concerned but needed two or three days to decide on next steps. The next wave of legal challenges will have to directly confront the question of whether the immigration order constitutes a Muslim ban, an issue the courts have so far set aside. “While the White House may have made changes to the ban, the intent to discriminate against Muslims remains,” New York Attorney General Eric Schneiderman said. The administration has tried to make it harder to prove religious discrimination by stripping out language that would have given preference to religious minorities once refugees are allowed in again. 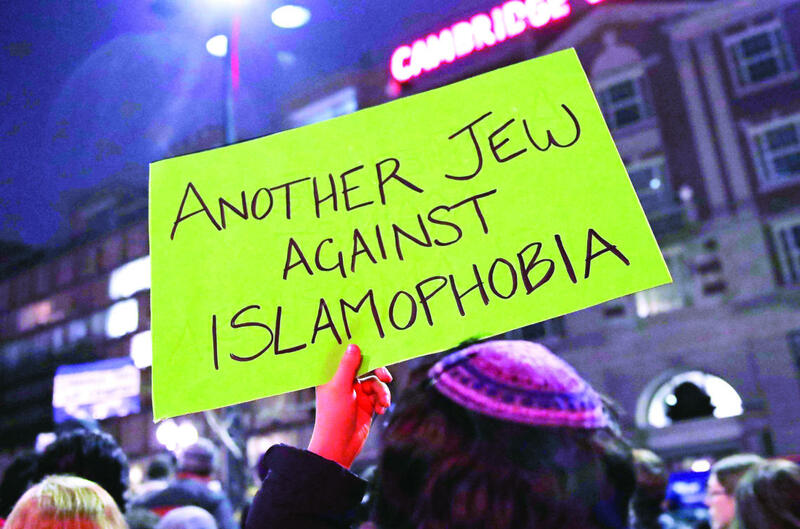 Critics had said the preference benefiting Christians underscored that the ban was directed at Muslims. “I believe the new order will withstand legal challenges as it’s drafted in a fashion as to not be a religious ban, but a ban on individuals coming from compromised governments and failed states,” said Republican Sen. Lindsey Graham. The Trump administration considers three of the nations targeted — Iran, Sudan and Syria — as state sponsors of terrorism, and the other three as “safe havens” for terror operatives. Its critics question the list, which includes countries whose citizens have never been involved in terror attacks in the US. And they point to Trump’s own past campaign statements promising to bar entry to Muslims as evidence of animus that will be difficult to shake. 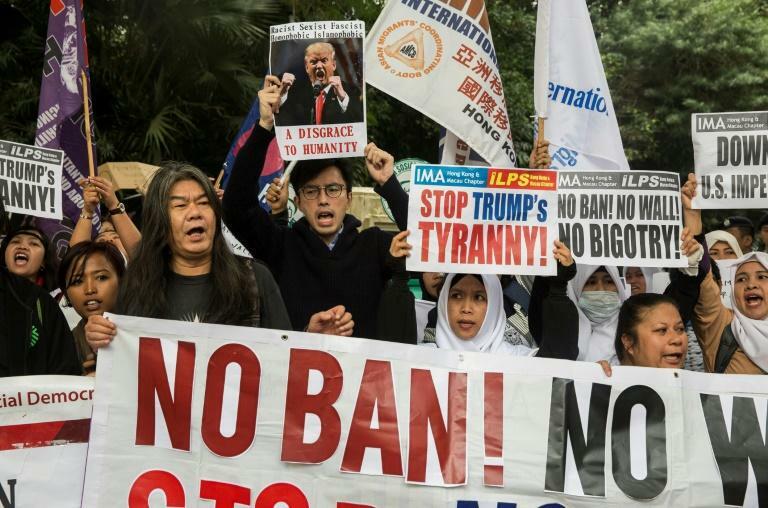 “The clear intent is to convince the courts that the ban is the result of careful deliberation rather than religious animus,” said Elizabeth Goitein, co-director of the Brennan Center for Justice’s Liberty and National Security Program. “But the tactical tweaks in this latest edition cannot rescue the order’s constitutionality,” she added. HUTCHINSON, Kan: Crews grappling with vexing wildfires that have charred hundreds of square miles of land in four states and killed six people soon may get a bit of a break: Winds are forecast to ease from the gusts that have whipped the flames. Bill Bunting, forecast operations chief for the Oklahoma-based Storm Prediction Center, said Wednesday the powerful wind gusts that have helped the wildfires spread quickly in Kansas, Colorado, Oklahoma and Texas should die down to about 10 to 20 mph on Wednesday. He said temperatures should top off in the 70s, with afternoon humidity low. Fires raged in parts of Kansas, Oklahoma, Texas and Colorado, and warnings that conditions were ripe were issued for Iowa, Missouri and Nebraska. The fire warning came after powerful thunderstorms moved through the middle of the country overnight, spawning dozens of suspected tornadoes, according to the National Weather Service. Kansas wildfires have burned about 625 square miles of land and killed one person. The Kansas Highway Patrol said Corey Holt, of Oklahoma City, died Monday when his tractor-trailer jackknifed as he tried to back up because of poor visibility on a southern Kansas highway, and he succumbed to smoke after getting out of his vehicle. Two SUVs crashed into the truck, injuring six people who were taken to hospitals, state trooper Michael Racy said. The vast majority of the state’s burned land is in Clark County, where 30 structures were damaged, said Allison Kuhns, a spokeswoman for the county’s emergency management office. About half of those structures are near the small city of Englewood, which was one of two communities evacuated. Kuhns said there also have been significant cattle losses and that entire ranches were engulfed. That fire originated across the state border in Oklahoma, where it burned an estimated 390 square miles in Beaver County. Officials say a separate fire has scorched more than 155 square miles of land in neighboring Harper County, Oklahoma, and was a factor in the death of a woman who had a heart attack while trying to keep her farm near Buffalo from burning. The largest evacuations elsewhere were in Reno County, Kansas, where 10,000 to 12,000 people voluntarily left their homes Monday night, said Katie Horner, a spokeswoman for the state’s Department of Emergency Management. She said 66 people from the area were in shelters Tuesday in Hutchinson, 40 miles northwest of Wichita. Among them was Shelley Wilson, who fled Monday with her disabled son and pets from a blaze that was encircling her farm outside of Hutchinson. She returned later that night with her adult daughter to retrieve her tractor. Retiree Sheryl Stessen said she grabbed her cat and bolted from her apartment on the outskirts of Hutchinson when she saw the fire quickly go from looking like a puff of smoke to a big, orange ball. Several hundred more people evacuated their homes in Russell, Ellsworth and Comanche counties, in central Kansas. In the Texas Panhandle, three fires have burned about 500 square miles of land and killed at least four people. One of the blazes near Amarillo threatened about 150 homes, while a larger fire in the northeast corner of the Panhandle near the Oklahoma border was 50 percent contained as of late Tuesday morning, according to Texas A&M Forest Service. That larger fire was responsible for a death on Monday, authorities said Tuesday without providing further details. A wildfire in Gray County, also in the Texas Panhandle, killed three ranch hands who were trying to usher cattle away from the flames, said Judge Richard Peet, the county’s head administrator. One of the three apparently died of smoke inhalation Monday night and the other two were badly burned and died on the way to hospitals, he said. Forest Service spokesman Phillip Truitt said as many as four firefighters were hurt battling the fires Monday. He provided no details on their conditions Tuesday morning. In northeastern Colorado near the Nebraska border, firefighters were battling a blaze that had burned more than 45 square miles and was 50 percent contained Tuesday. Officials said the fire had destroyed at least five homes and 15 outbuildings, though no serious injuries were reported. Dry conditions and strong winds had put the region at risk for wildfires, said Denise Gutzmer, a drought impact specialist for the National Drought Mitigation Center at the University of Nebraska in Lincoln. The amount of Kansas and Oklahoma in what’s classified as modified or severe drought also has intensified, with the entire eastern half of Colorado in various degrees of drought, according to the Nebraska center, which tracks U.S. drought conditions weekly. 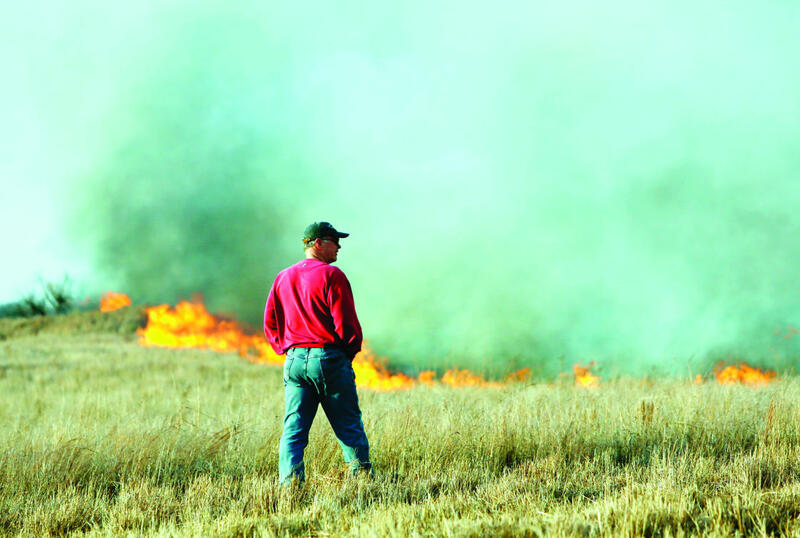 In Kansas’ case, after several years of drought, most of the state got good to great rain the last two summers, which is good for cattle but bad for firefighters, as the taller grass provides more fuel to burn. LUCKNOW: Indian police on Wednesday shot dead a suspected Daesh sympathizer who they said was involved in a train explosion that injured 10 people. Police said they ended a nearly 12-hour stand-off in the early hours by storming the house where the suspect, identified as Saifullah, was holed up in northern Uttar Pradesh state. “We had received information that a Daesh-related group was being formed here and a suspect linked to it could be hiding here,” Aseem Arun of India’s anti-terror squad told reporters, referring to Daesh. “When we entered the room, he fired upon us and we also retaliated. About four to five bullets hit him and then Saifullah died,” he said. Six other suspects have been arrested over the explosion on a train on Tuesday in which at least 10 people were injured. Closed-circuit television footage from near the train explosion site in neighboring Madhya Pradesh state helped police identify the suspects. 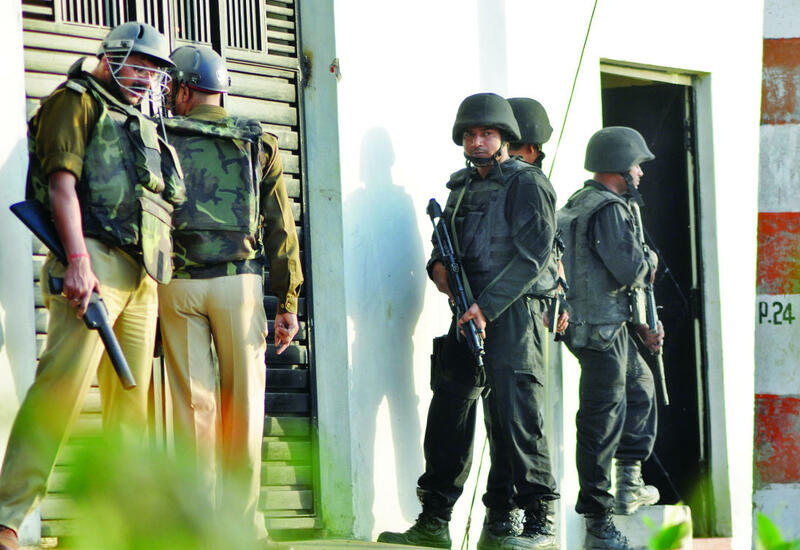 Police reportedly recovered eight pistols and more than 650 rounds of ammunition, explosives, gold and passports from the house, on the outskirts of state capital Lucknow. Television footage showed police carrying a body wrapped in a white sheet from the house. Rahul Srivastava, spokesman for the director general of police in Uttar Pradesh, said they were investigating Saifullah’s links to Daesh. “The level of his involvement with Daesh or the extent to which he was radicalized, is a matter of investigation,” he said. India’s leaders say Daesh does not have influence in the country of over 1.2 billion people, which has a large but traditionally moderate Muslim population. There have been some reports of Indians going to fight for the group in Iraq and Syria, but the numbers are low relative to the size of the population. BEIJING: A first draft of a code of conduct for behavior in the disputed South China Sea has been completed, Chinese Foreign Minister Wang Yi said on Wednesday, adding tension in the waterway had eased notably. Since 2010, China and the 10 members of the Association of South East Asian Nations (ASEAN) have been discussing a set of rules aimed at avoiding conflict among rival claimants in the busy South China Sea. Speaking at his annual news conference on the sidelines of China’s parliamentary session, Wang said talks last month had made “clear progress” and had formulated a first draft of a framework for the code. 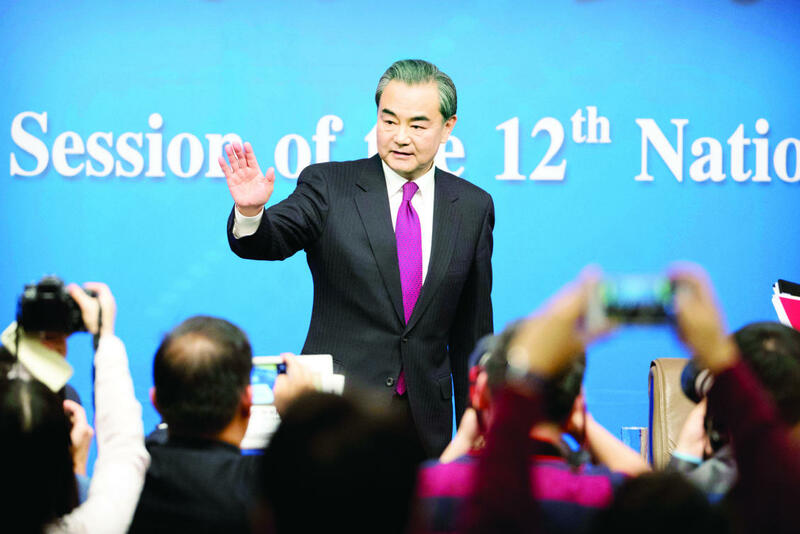 “China and ASEAN countries feel satisfied with this,” he said. Wang said tensions in the South China Sea had not just “somewhat dropped, but had distinctly dropped” over the past year. But in a nod to the US and its regular freedom of navigation naval patrols in the region, Wang said those who still wanted to “stir up trouble” will be condemned by countries in the region. “We definitely will not allow this stable situation, which has been hard to come by, be damaged or interfered with,” he said. The US has criticized China’s construction of man-made islands and its build-up of military facilities in the sea, and expressed concern they could be used to restrict free movement. China has long called for what it terms “countries outside the region” — generally a reference to the US — to stay out of the dispute, saying China and Southeast Asia are determined to resolve things peacefully. Tensions reached a flashpoint after the Philippines filed an arbitration case against China in The Hague and as China started militarizing artificial islands it built up on reefs in the South China Sea. The tribunal ruled last year in Manila’s favor, but the election of Philippine President Rodrigo Duterte has seen a dramatic U-turn in his country’s approach. Duterte has said repeatedly he wants to avoid confrontation with China and saw no need to press it to abide by the ruling. Philippines Foreign Secretary Perfecto Yasay has said he hoped the code of conduct would be completed by the middle of this year and help de-escalate tensions. Meanwhile, the controversial interpretation by China’s Parliament of Hong Kong’s mini-constitution that effectively bars pro-independence lawmakers from taking office showed Beijing’s resolve to prevent secession, a Chinese leader said on Wednesday. Chinese leaders are increasingly concerned about a fledgling independence or secessionist movement in the former British colony of Hong Kong, which returned to mainland rule in 1997 amid promises of wide-ranging autonomy including judicial independence under a “one country, two systems” arrangement. China’s Parliament last year staged a rare interpretation of the Basic Law, as Hong Kong’s mini-constitution is called, and staged one of Beijing’s most direct interventions into the city’s legal and political system since the 1997 handover.